On 28th September the streets of London's Limehouse area were thronged with people descending on the Half Moon Children's Theatre for SCBWI's first biennial illustrators' launch. The blackboard is part of the gallery set-up, for use by the many children who pass through the theatre's doors, or in this case, here for the exhibition launch! 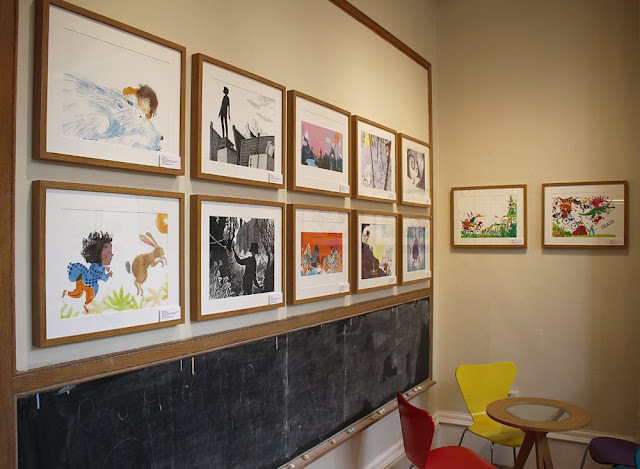 The show has actually been on view from 5th September, but the 28th was the grand launch event, with book signings by the exhibitors, and a panel event of our guest illustrators and industry judges. 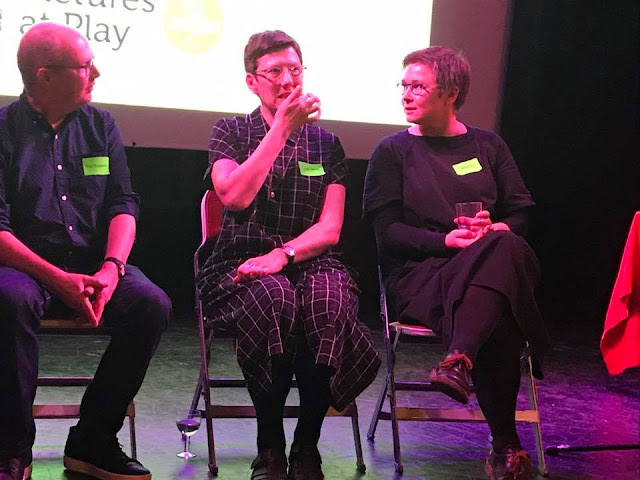 It was a packed event, with SCBWI members, their guests and many faces from the publishing industry attending - these pictures don't give a full impression! 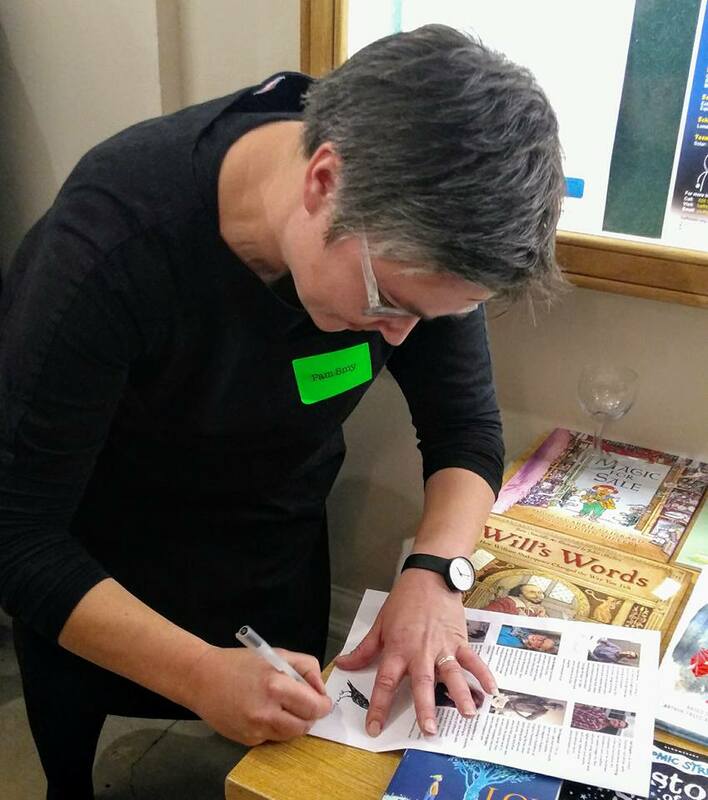 Not only books were being signed - here's guest illustrator Pam Smy adding her name to the exhibition programme! 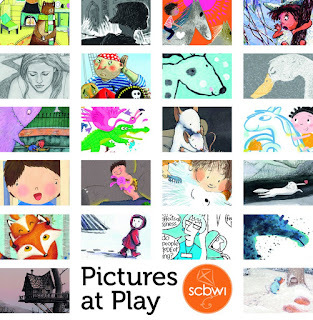 Pictures at Play is the first guest-juried exhibition for SCBWI BI, and grew as an expansion of our old annual Illustrator's Showcase display, which in previous years toured to various SCBWI events across the country through the year, starting with our Conference in Winchester. As the old Showcase had to be easily portable, the prints were small, the frames lightweight, so as an exhibition it had certain limitations. We had an enormous number of entries from which our invited judges chose a shortlist, altogether there are 40 illustrations on show from 22 illustrators, including six from our three guest illustrators Leigh Hodgkinson, Tim Hopgood and Pam Smy. We particularly wanted to show the narrative progression from one image to another, so where illustrators had two pieces on display they were both from one book project. 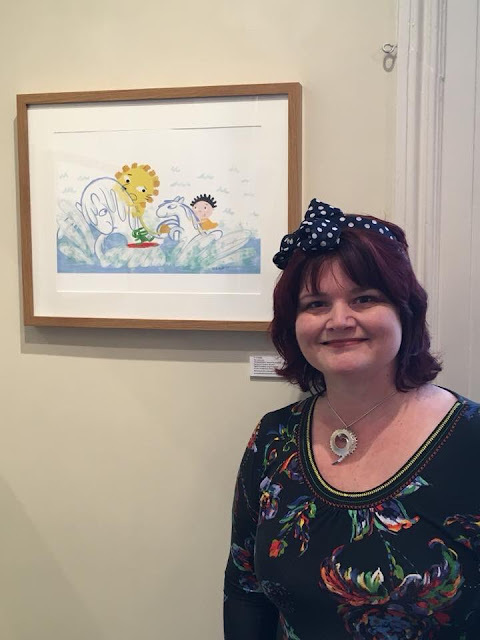 Layn Marlow with her two illustrations from Something Went Ping! Everyone was amazed at the superb quality of the facsimile prints, Jealous Prints did a truly wonderful job. Most images on show are available to buy as an extremely limited edition giclée prints, part of the proceeds of which are donated to the charity War Child. Please contact the gallery office for more details of how to buy! 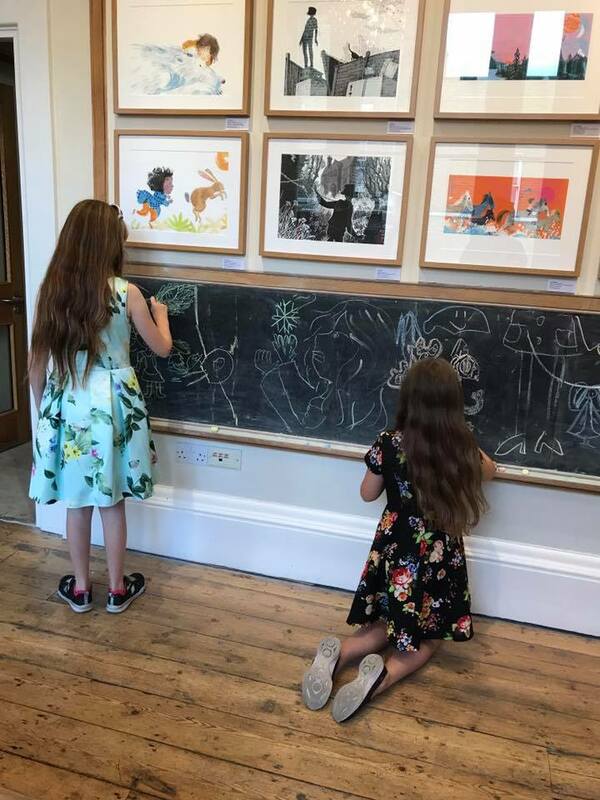 Not only SCBWI members and industry professionals were at the launch - we had a crew of young art critics casting their profession eyes over the work too!! 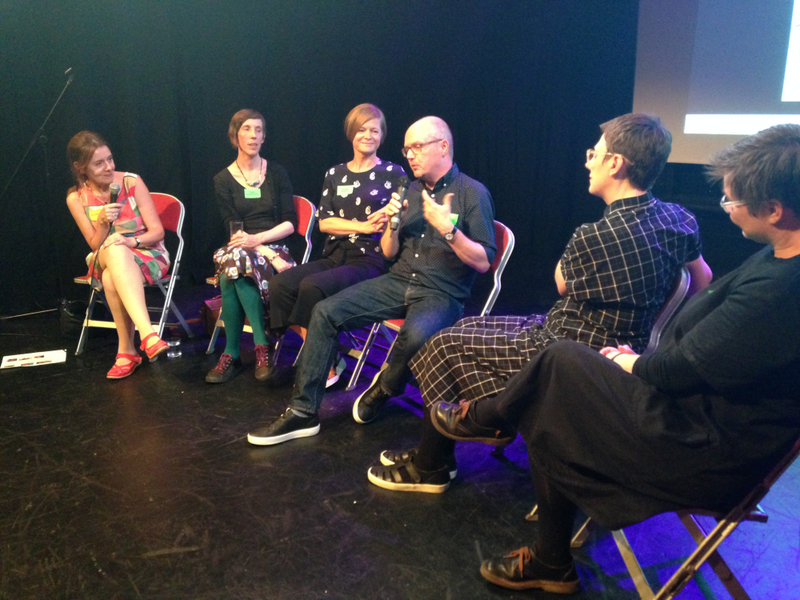 The panel discussion in the packed theatre auditorium featured our guest illustrators Leigh, Tim and Pam, plus two of the exhibition judges Louise Jackson (Walker Books) and Ness Wood (David Fickling Books). Tim's editor Peter Marley sadly was unable to join us, but the discussion was nevertheless full of analysis from both sides of the design process. The panel was ably chaired by Bridget Marzo. Leigh talked through the processes that build an image from initial idea sketch to finished piece in her recent book Are You Sitting Comfortably, explaining how scanned textures and details were added in Photoshop layers to assemble the final image. 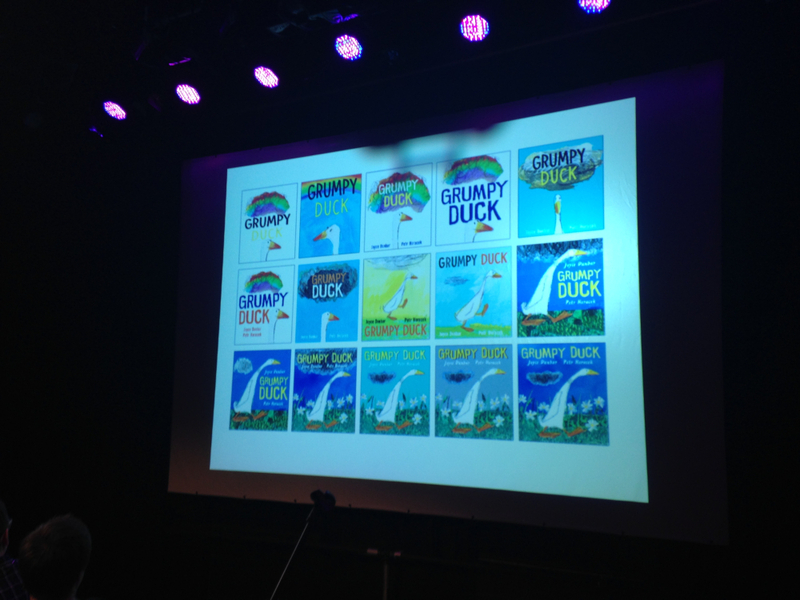 Louise discussed the evolution of the cover for Joyce Dunbar and Petr Horacek's forthcoming picture book Grumpy Duck, showing how cover proposals can go through several committee meetings before approval. Tim works with scanning hand painted elements and in a similar way to Leigh, builds his images in Photoshop with layers. His latest release is a picture book adaptation of Arthur Freed's famous song Singing in the Rain. Showing several spreads, Tim explained how he liked to suggest complexity with very simple textures, for example in cityscapes, and of his recent use of white space to give spreads airiness. 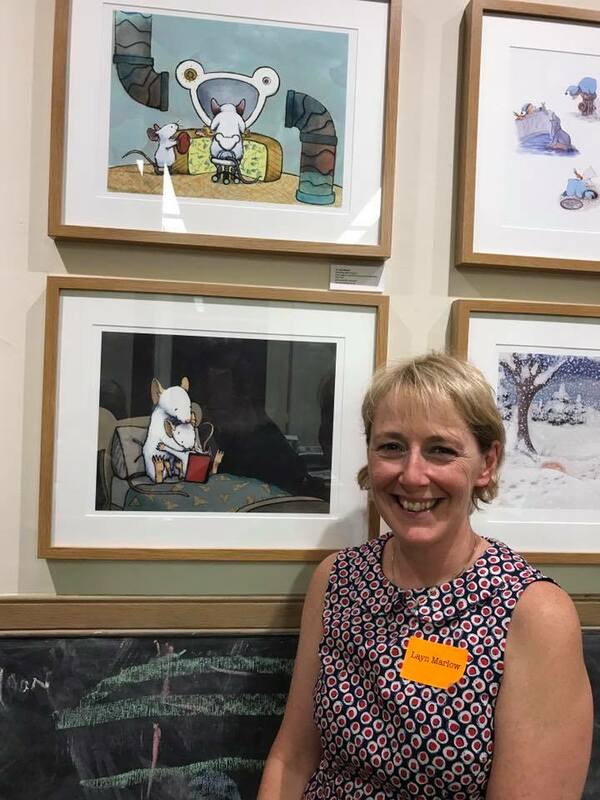 Pam worked closely with designer Ness over several years on her graphic hybrid novel Thornhill, recently published by David Fickling Books. Pam and Ness showed how they worked together on a developing string of proposals and ideas for the jacket design, the resulting book is a suspenseful matching of text and monochrome illustration, with an alluringly sinister cover. The evening ended with signings and book sales. Here are some more of Candy's live-stream Facebook interviews with exhibitors on the night! 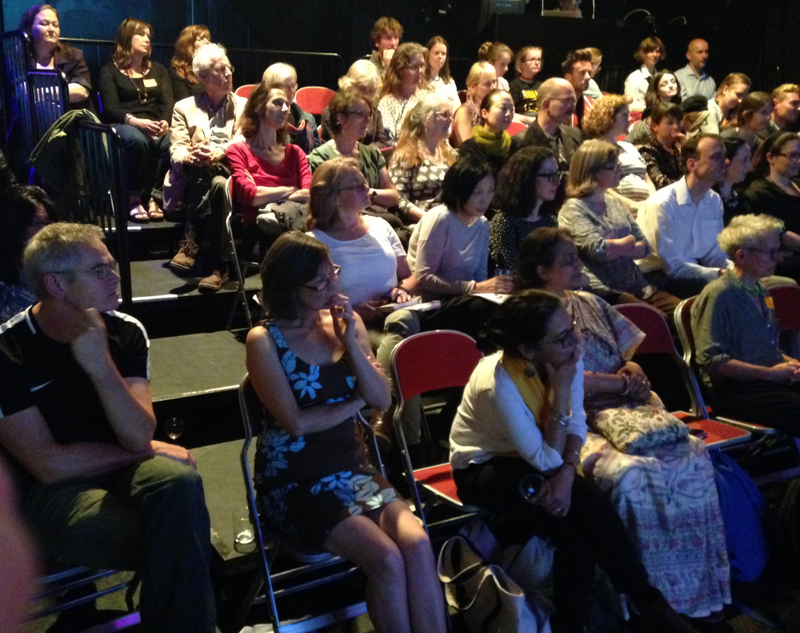 The launch event was thoroughly enjoyed by all. Our deepest thanks to the Half Moon Theatre for this opportunity, and to everyone who participated. Thanks John for this really excellent write-up!